Please join us at The Bridge Tender, 1414 Airlie Rd., Wilmington, NC 28403 on April 18, 2019 from 5:00 pm to 7:00 pm for the New Hanover County Bar Association Spring Social. 2 Hour Family Law CLE Hosted by the New Hanover County Bar Association, Inc.
Smith Moore Leatherwood and the New Hanover County Bar Association invite you to a complimentary CLE program focused on appellate practice and procedure. Smith Moore Leatherwood will be responsible for the State Bar CLE. Lunch will be provided and sponsored by the New Hanover County Bar Association, Inc.
Space is limited. RSVP today by clicking here. Food/Drinks provided and music by Blivet. Please RSVP by November 17, 2017. Dues must be current to attend. Law Day is celebrated annually on the first Friday in May as a national day to celebrate the rule of law. 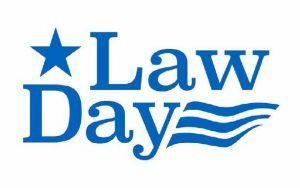 Law Day underscores how law and the legal process contribute to the freedoms that all Americans share and also provides the opportunity to recognize the role of courts in a constitutional democracy. * CLE was approved for general credit only. Attendees who wish to receive CLE credit will be responsible for paying the $3.50 CLE fee (which will be billed to you by the NC State Bar). The New Hanover County Bar Association’s Summer Social will take place on Thursday, April 27, from 5:00 to 7:30 pm at the New Anthem Brewery, located at 116 Dock Street, Wilmington NC. Members of the New Hanover County Bar Association are invited to participate in the 10th Annual 4ALL Statewide Service Day sponsored by the NCBA Foundation. On Friday, March 3, North Carolina lawyers across the state will join forces to take calls from the public at call centers throughout North Carolina. Lawyer volunteers provide legal information and referral resources to callers seeking information regarding North Carolina-related legal matters. Lunch will be provided, and there is no cost to attend. To register for this CLE, please email your name and NC State Bar No. to info@nhcbar.com. NHCBA Dues must be current to attend! Shuttles will be available on a first come, first serve basis leaving at 6:30 PM and at 7:30 PM from the Michael’s parking lot in the Mayfaire Shopping Center. Return shuttles will depart the event at 9:30 PM, 10:30 PM, and 11:30 PM, and will drop guests off at the pick-up location. Drop off at another requested location (i.e., Wrightsville Beach or downtown) may be available time permitting. To RSVP, or if you have questions, please email info@nhcbar.com. The annual meeting of the New Hanover County Bar Association, Inc. will be held from 12:00–2:00 pm on Tuesday, October 11, 2016, in the basement of the First Baptist Church, 411 Market Street, Wilmington, North Carolina. Chief District Court Judge J.H. Corpening, II will be speaking at the meeting. Lunch will be provided. There will also be a presentation of Pro Bono Awards by Richard M. Klein, Senior Managing Attorney of the Wilmington Office of Legal Aid of North Carolina. All members are invited and encouraged to attend. The New Hanover County Bar Association will be providing a free Ethics CLE, Moral & Ethical Obligations in the Practice of Law, presented by Joe Cheshire. 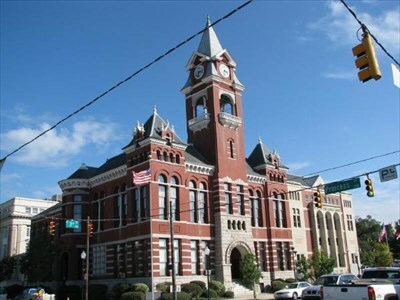 The CLE will take place on Friday, August 5, 2016 at 2:15 pm in the Commissioner’s Assembly Room (Room 301) of the New Hanover County Historic Courthouse, 24 North 3rd Street, Wilmington, North Carolina. The attendees will be obligated to pay the NC State Bar the $3.50 fee for the CLE credit. We also welcome everyone to bring non-lawyers, friends, family, etc to hear Mr. Cheshire’s presentation. For additional information on Joe Cheshire, see http://www.cheshireparker.com/our-lawyers/joseph-blount-cheshire-v.
To register for this CLE, please email your name and NC State Bar No. to info@nhcbar.com. Please let us know if you anticipate bringing any guests. We will be providing light snacks and refreshments courtesy of our sponsor immediately following the lecture. Please join us on Thursday, July 28th at 5:30 pm in courtroom 317 of the New Hanover County Courthouse for the unveiling and presentation of the portrait of Judge Elton Tucker and the celebration of the 50th anniversary of the District Courts. The New Hanover County Bar Association will be providing refreshments after the unveiling of the portrait. 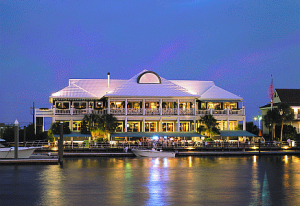 The New Hanover County Bar Association’s Summer Social will take place on Thursday, July 14, 2016 from 5:00-7:30 pm at the Captain’s Lounge at Bluewater Waterfront Grill, located at 4 Marina Street, Wrightsville Beach, North Carolina.